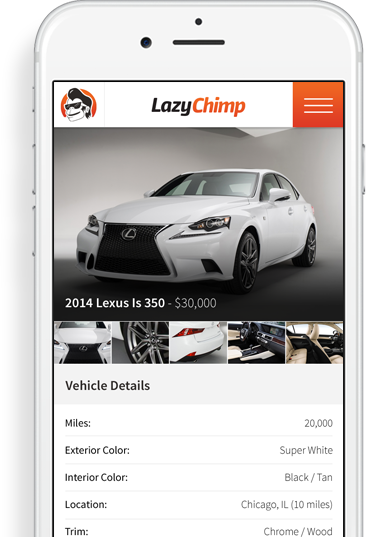 Lazy Chimp is incredibly simple. Receive offers from local dealers. Accept an offer and you get it in writing! Get the best price for your car. Have multiple dealerships make offers. You can choose to sell or trade. 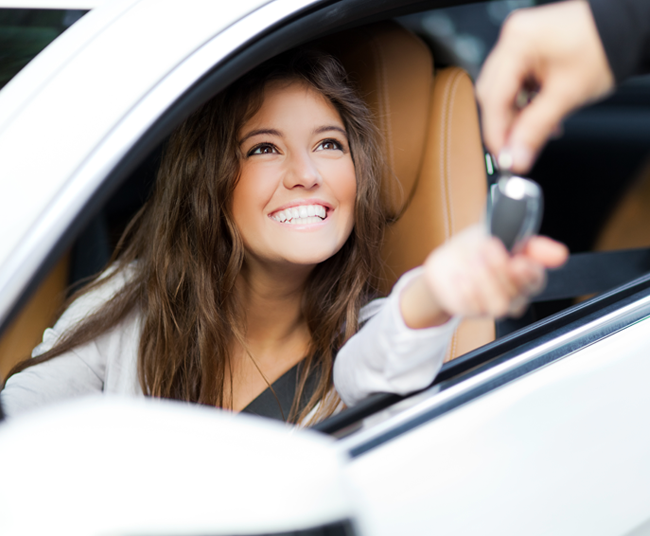 Every dealer making an offer for your car is checked to ensure they are properly licensed. Your contact information is kept private until you accept an offer. Offers are sent right to your phone. Dealers don't see each other's offer so you always get the highest and best offer for your car. Every accepted offer is in writing. Want to sell your car locally? 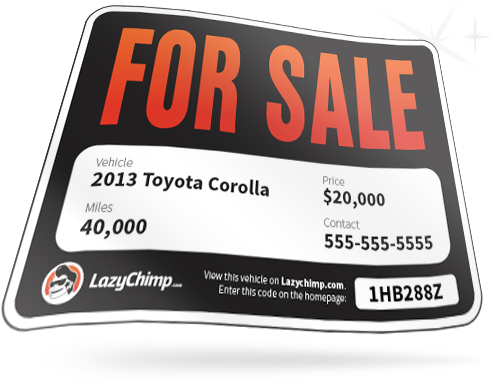 Get a Free Custom For Sale Sign complete with information about your car and an online link to a listing of your car on LazyChimp.com. Register today to buy cars. View condition reports and multiple pictures of each vehicle. Make offers from any device at any time. New listings are sent right to your phone. Visit the dealer homepage for more details.